- The Woodstock Kid's Guitar looks just like Mom & Dad's full size guitar, only sized down for smaller hands. 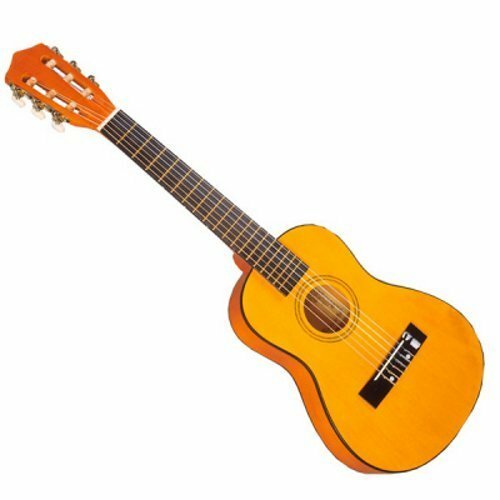 Suitable for taking lessons, this guitar comes with an songbook by renowned folk musician Happy Traum (includes information on changing strings and tuning). What are you waiting for? Let your fingers do the trick, because everything here is worth it! Classic styling, sized just right for kids. Also comes with a guitar pick and an extra set of strings. If you have any questions about this product by Woodstock Percussion, Inc., contact us by completing and submitting the form below. If you are looking for a specif part number, please include it with your message.